Bill Konidis (@BKonidis) and Peter Kourtis (@PTKsportsdude) go on-air every Tuesday to host the GTHL on Rogers TV, with games airing the following Sunday in Toronto (Cable 10) and Scarborough (Cable 63). 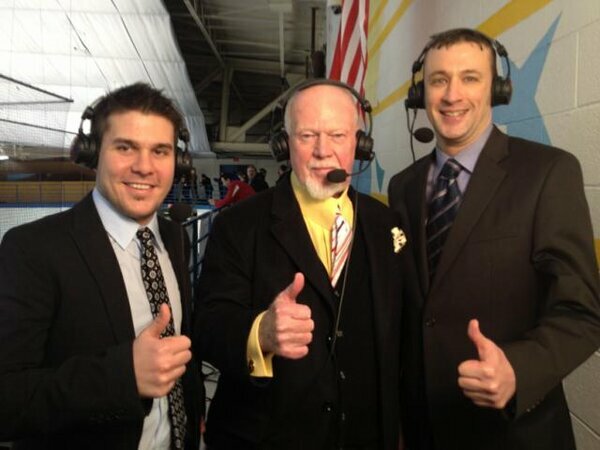 Next week will be no different, as the dynamic duo will call the 7th Annual Scotiabank GTHL Top Prospects Game at Scotiabank Pond. Before Konidis and Kourtis head to the balcony for the play-by-play, they shared their insight on what to expect in the annual showcase. As it turns out, they’re as good a pair as Statler and Waldorf (for those familiar with The Muppets characters). What do you anticipate the atmosphere to be at Scotiabank Pond next week for the 7th Annual Scotiabank GTHL Top Prospects Game? BK: The Scotiabank Pond is an awesome rink to be at for the big games. The Top Prospects Game always gets packed with fans, parents, coaches, scouts and players. 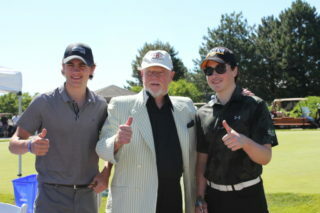 At an event like this you’ll always find some high profile members of the hockey community buzzing around the rink. Once the seats fill up it is almost impossible to find a spot up against the glass. 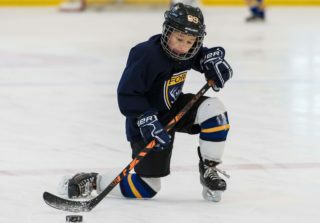 As always, there is so much talent spread throughout both rosters and we’re looking at one of the early “big” moments for these young players on their way to successful hockey careers. PK: The players have been on the radar for the OHL draft for a few years but this really is a blank canvas for the players to impress. The best on best competition has had some great offensive performances but with so many eyes on the game it’s the work ethic on defense that has lead to charged atmosphere. The back check just leads to an intense game that seems to be played at an all out pace. Once the players look up and see the crowd it’s easy to get excited. Of all the minor midget games you’ve covered this year, describe one play made by one of the top prospects that left you lost for words. BK: It’s tough to pick out just one play. 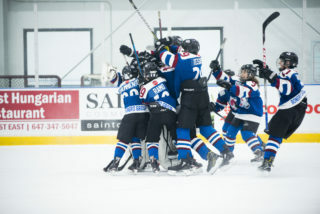 Riley Damiani (Mississauga Rebels/Team Graves) scoring two goals the span of 15 seconds to turn a deficit into a lead was pretty impressive. His second goal was snapped top corner right off a faceoff while the puck was still on the faceoff circle – snipe! Ryan Merkley (Team Corson) at the back end for the Toronto Jr. Canadiens does something special almost every time he touches the puck. PK: Picking a play is tough. For absolute flair, the Jr. Canadiens have impressed me with their offensive game. That doesn’t always win you a game but they certainly like to play an old school 6-5 game rather than a tight 3-2 game. Which players have surprised you so far this season? BK: Liam Foudy (Markham Majors/Team Corson) and Max Grondin (Vaughan Kings/Team Corson) are two players who have impressed me as they are on teams with not as much offensive support as the top dogs, but are relied upon heavily and make big offensive contributions. PK: Surprises? 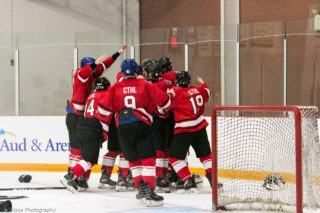 I’m still waiting to see which goalie captures the ‘Best in the GTHL’ title! 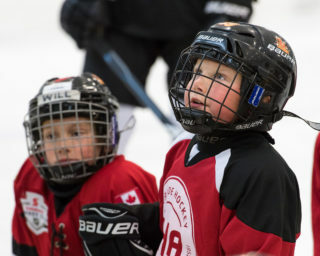 The scouts have their work cut out for them trying to figure out on which goalie fits their plans. The goalies are so strong positionally that you just don’t see a big difference in them. Picking one player would be the wrong pick. The one mistake I think a person can make is to start setting up their OHL draft order in December. Who should we watch out for come Dec. 15 when the top prospects hit the ice? BK: That’s a tough one, but an easy answer would be all 42 players participating. 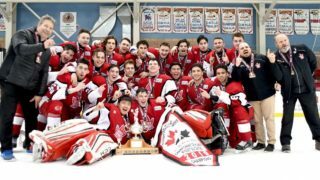 I could pick one or two, but the great depth in the GTHL is what really stands out – guys who score, have great vision, play well in their own end and are physical. PK: All-star games are scoring fests, but the Top Prospects Game has been more of a play-to-win game. Keep track of the defencemen who like to quarterback the offense. With so many great players to pass the puck to, it can be tough on the defencemen to figure out where to distribute the puck. This year’s class of D are more about puck possession then freewheeling like we’ve seen in the past. Who wins if you’re playing a game of posts and crossbar (first one to hit all three) – BK or PK? BK: BK, as long as we’re provided with an unlimited amount of pucks and no time limit. PK is a shutdown d-man not known for his offensive game. PK: Is there a time limit on this game? We may need to rent a big block of ice to see who can even hit the post once.